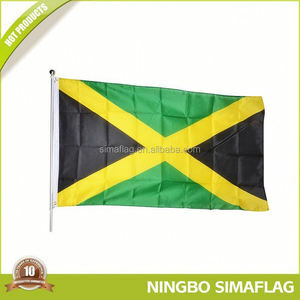 Shenzhen YDH Flag Craft Co., Ltd.
Ningbo Simaflag Import & Export Co., Ltd.
Q: Where is your factory located9 How can I visit it9 A: Our factory is located in Fenghua, Ningbo, China. Q: How does your factory control product quality9 A: ISO9001 Certificated, independent quality control team with 16 inspectors in our factory. From the concept to finished goods, we do all (design, prototype reviewing, tooling and production) in the factory. 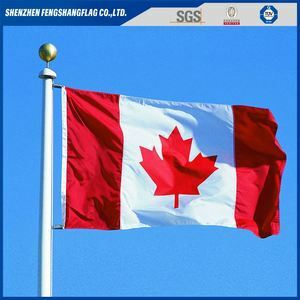 Shenzhen Hengxin Flag Co., Ltd.
Q: Can you provide sample for free9 A: Yes. We can provide free sample for our customer to check. We can do any quantity order for our customers. 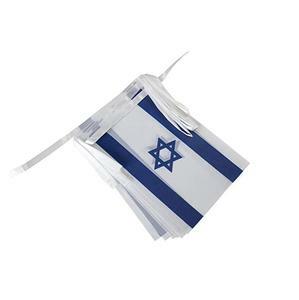 Welcome to order israel national flags from our company ! We have over 10 years professional and export experience . We have experience in sales and design area . Silk Screen Printing single layer, 100% back side image penetration &mdash; b. 9. Stitches double sewing lines; Single sewing lines; Four sewing lines; Corner reinforcement; etc. &radic;How to get the new products information 9 You can learn through website update, E-mail, our promotion catalogue. 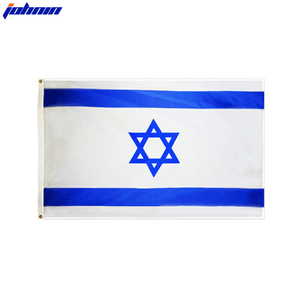 Guangzhou Leben Outdoor Equipment Co., Ltd.
China flag maker israel stick flag 4"x6"
Here at the TONGJIE factory shop you can shop for the finest quality flag presentation sets and accessories. 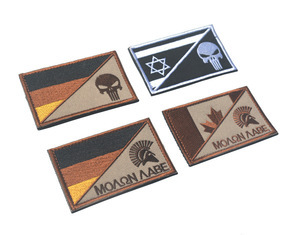 Whether in a courtroom, classroom, executive office, auditorium, church or meeting hall, our Presentation Sets combine the most outstanding materials with skillful sewing and finishing. Removed from their floor stand these beautiful sets can be used for parade color-guard and other ceremonies . 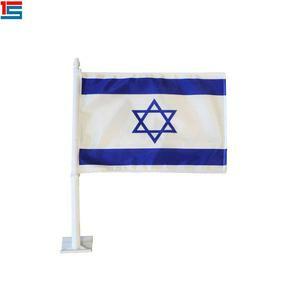 Alibaba.com offers 919 israel flag products. 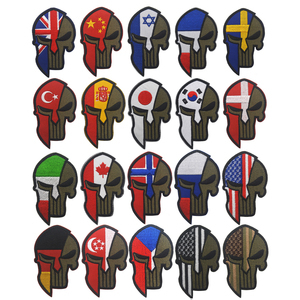 About 49% of these are flags, banners & accessories. 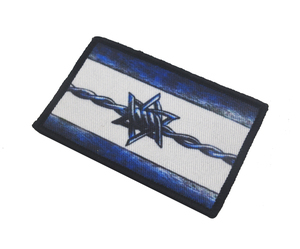 A wide variety of israel flag options are available to you, such as printed, embroidered. You can also choose from plastic, acrylic, and aluminium. As well as from flying, hanging. 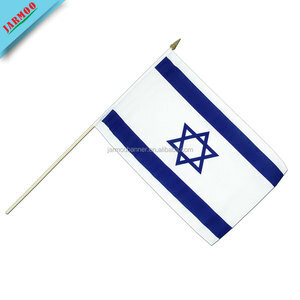 And whether israel flag is car, decoration, or promotion. 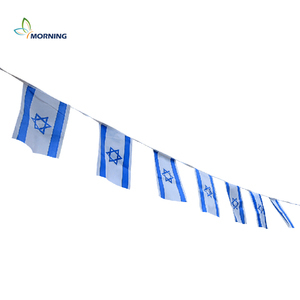 There are 834 israel flag suppliers, mainly located in Asia. 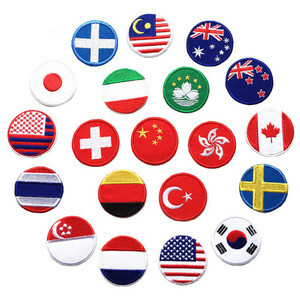 The top supplying countries are China (Mainland), Israel, and Jordan, which supply 97%, 1%, and 1% of israel flag respectively. 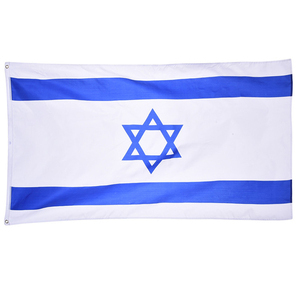 Israel flag products are most popular in North America, Western Europe, and Mid East. You can ensure product safety by selecting from certified suppliers, including 121 with Other, 42 with ISO9001, and 6 with ISO14001 certification.